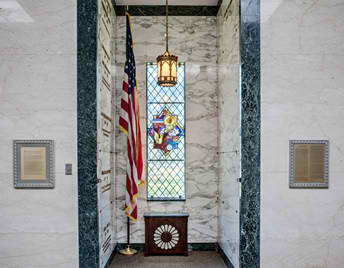 At the center of Monroe’s only perpetual care cemetery stands a permanent monument of love, the Chapel Mausoleum. It is a tranquil place of respect and remembrance. It is an enduring structure built to stand the test of time. The delicate colors of the stone bring a sense of calm over all who enter. 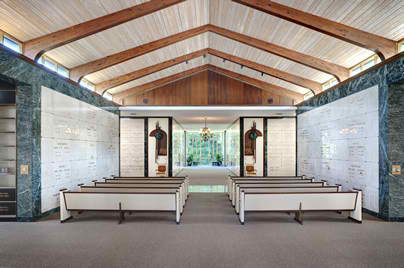 The chapel area provides a serene place to pray and reflect as airy windows bring in the beauty of nature indoors. Please contact us for pricing information. Financing is available.